Arrival time is strictly from 12 noon. When do we need to depart by? Departure time is before 11am, if you wish to stay later please see reception and they will advise as to whether it is possible. Do you have any rules about noise? We ask campers to keep noise to a minimum from 10:00 pm to 8am, on arrival you are given an emergency mobile number, if you are disturbed you can call and we will try and sort out any problems. We do accept dogs, however we ask for them to be kept on a lead whilst on site, cleaned up after and not left unattended on site. We have dog exercise areas to let your dog off their lead, and Monkstone beach is dog friendly all year round. Whats the ampage on the electric hook ups? Whats the walk to the beach like? Is it suitable for pushchairs? 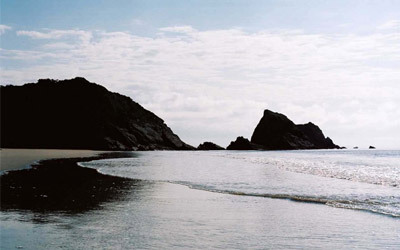 The walk to Monkstone beach is beautiful however it is not suitable for pushchairs as it is a steep climb. It has steps all the way down, rumoured to be 151! A little bench is half way up which you might find handy after a long day on the beach. Can we interact with the animals on site? We have many animals in and around the farm area most of them are placid and friendly however they must be respected and the cattle and pigs should not be approached.Ask a member of the team for more info. Can we freeze our ice blocks? Yes you can, we dont charge for this service however we do ask for donations for one of our charity boxes. We have wi-fi in reception, ask at reception for the password. Yes, we dont charge for this service however we do ask for donations for one of our charity boxes. We have electric points in a few of the facility blocks. Do you provide electric pitches for tents? We used to, however for 2018 we are not providing this service, we only have non electric pitches for tents in our Tenby field. Can we have a BBQ/Open fire? We allow BBQs if raised off the ground but not open fires anywhere on the site area. What if we need a member of staff after hours? On arrival when you check in you will be given our emergency contact number, this should be used if you have a noise complaint or if there is an emergency where you need a member of staff. What do we do if you are closed when we turn up? If we are closed when you arrive there will be relevant information on our noticeboard outside of reception, please follow instructions on here and then come and check in during our opening hours. When can we book for next year? Always phone the office to find out the date that we can start taking next years bookings, this date changes every year. Do you allocate pitch numbers? Pitch numbers are allocated for Monkstone field only as Tenby field is open plan. Pitch numbers can be requested at the time of booking, however they are non negotiable and cannot be guaranteed. We have a farm shop on site which supplies all of your breakfast/ packed lunch/ BBQ essentials, as well as some local treats. 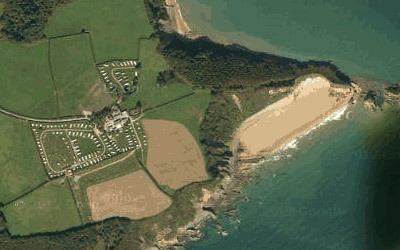 However, if you need a largr supermarket Sainsbury’s and Co Op are our nearest and are located in Tenby. 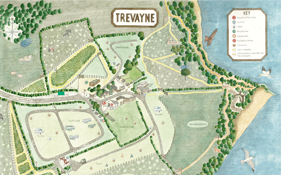 We do not allow generators to be used at Trevayne.Trevayne Farm is a beautiful farm & camping park above Monkstone Beach. 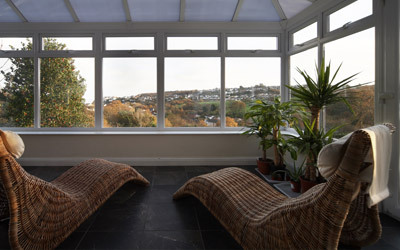 Nestled between Tenby & Saundersfoot, its a perfect location for a trip to the splendid coast of Pembrokeshire, Wales.